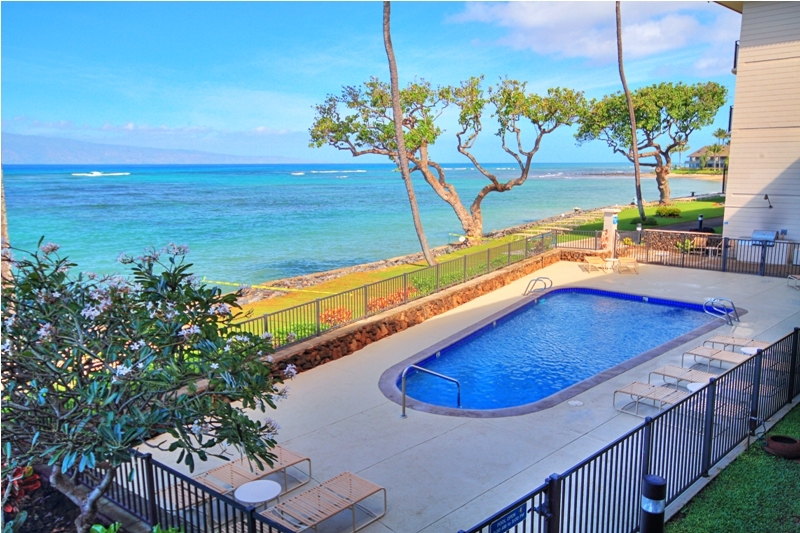 These West Maui condo rentals are located in the popular areas of Kahana. The Kahana area starts in the south at Akehele Street on the Lower Honopiialini Rd and stops where Napili starts. Pohaku Beach Part (S-turns) is a local favorite surf spot on Kahana Beach in the winter months. 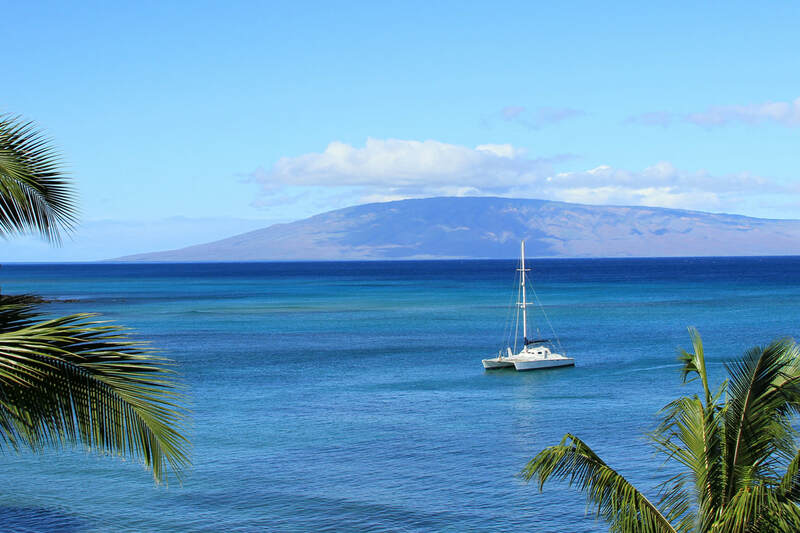 These rental properties face west looking between the channel between the islands of Lanai and Molokai. Condos are listed here from the south to north. 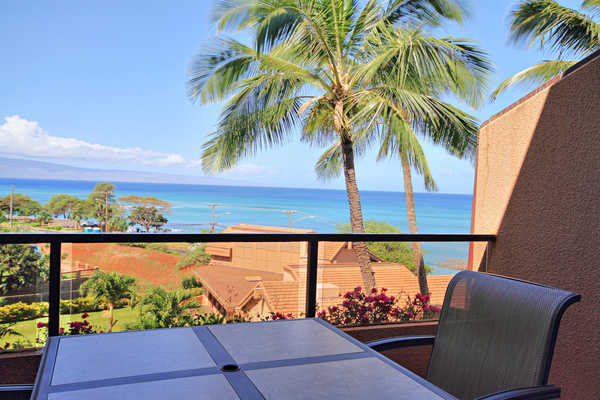 Located right in the heart of Kahana with sweeping ocean views and a beautiful tropical landscape. Relax at the oceanfront pool, enjoy a BBQ by the water’s edge on a scenic redwood deck and watch the tropical Hawaiian sunset from your spacious lanai. This ocean view spacious townhouse style two bedroom are perfect for couples or small families featuring a pool, hot tub, tennis courts and BBQ area. Across the street from Kahana Beach. Spacious one, two and three bedroom deluxe condominiums at an oceanfront resort. A beautiful sandy beach, a oceanfront swimming pool, large children's wading pool, three lighted tennis courts, basketball, four gas grill areas, sand volleyball court, and pool side restaurant. 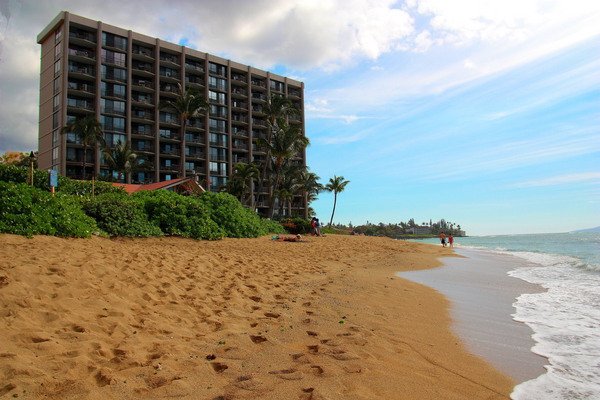 All Oceanfront and Ocean View Rooms set on quiet, picturesque Kahana Beach, you can unwind as you swim in the warm ocean, stroll along the beach at sunset. Nice Tropical Grounds with a courtyard pool and BBQ Area. This beachfront property offers air conditioned comfort, sweeping ocean views and an unbeatable location. These spacious studio, one and two bedroom units are fully furnished with tropical decor. Oceanside Pool and Cabana, Guest Gym and Lighted Tennis Courts. 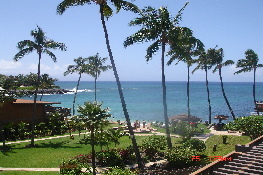 This Maui beachfront resort is an excellent family get-a-way with spacious ocean front two bedroom condos. All Oceanfront Two Bedroom Units, Private Pool and BBQ Area, Long White Sandy Beach and Free Wireless Internet Access In Lobby. Any closer to the water and you would be in it! These picturesque all Oceanfront Studios with Large Lanais are located in the charming Kahana community only steps away from the restaurants and shops of the Kahana Gateway center. These one bedroom oceanfront condos with private lanais afford sweeping views of Maui’s neighboring islands, colorful sunsets and even whales frolicking offshore during the winter months. Watch the breathtaking sunsets from the spacious decks of these roomy three bedroom oceanfront and ocean view Maui condos with the convenience and amenities of your own home yet with a unique Hawaiian beach house feel. 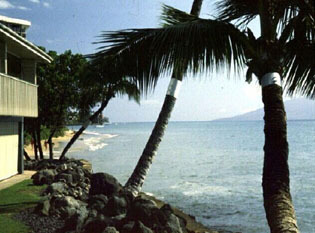 Kahana's most secluded white sand beach nestled in Keoninui Bay. Low-rise one and two bedroom condominiums with oceanfront, oceanview and garden view rooms available.